1 of 4 Heat oven to 350 degrees . Line a 10-inch spring-form pan or any round 10-inch pan with a sheet of foil and make smooth. 2 of 4 Unwrap mints. Arrange a row of mints close together around outside edge of foil-lined pan. Add rows of mints until foil is covered. 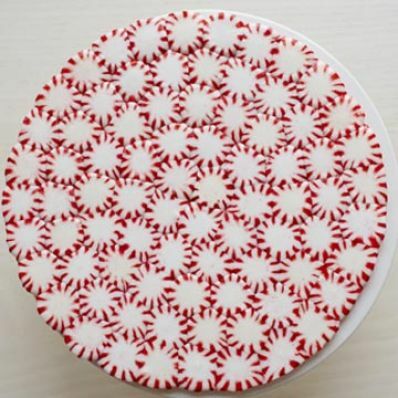 3 of 4 Bake at 350 degrees until mints spread together and melt, 10 to 13 minutes. Transfer pan to a wire rack to cool completely. Remove candy plate from pan using foil and gently peel candy from foil.